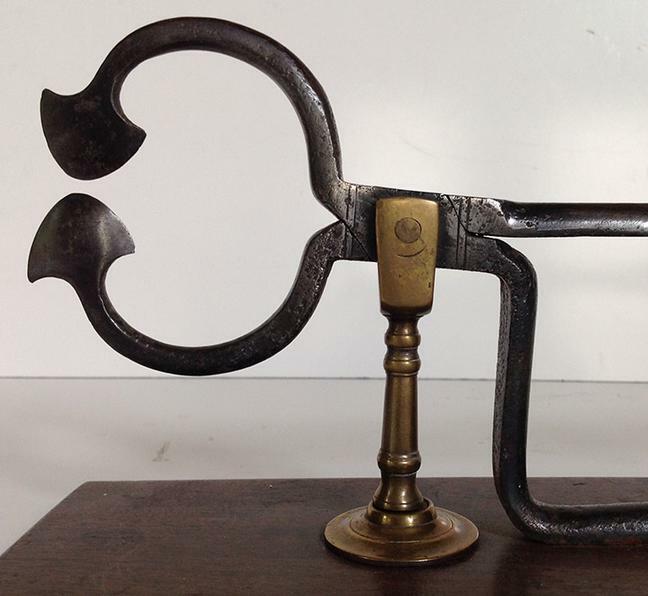 This fabulous pair of sugar nippers was made for a home of distinction. They were were most likely proudly displayed on top of a sugar chest, a sign of wealth. The nippers themselves are made out of forged iron that is mounted on a finely turned bell metal brass shaft and mounted on a solid walnut base. 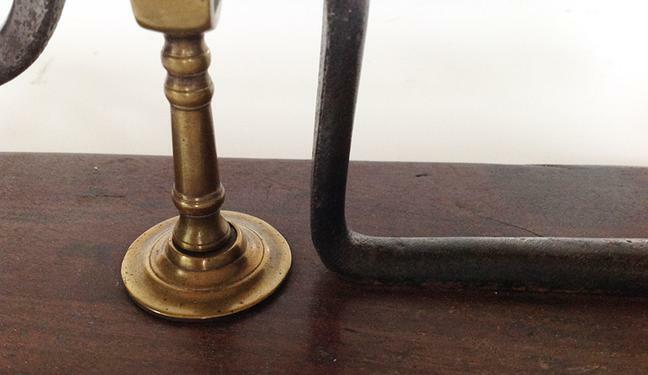 The finely turned handle is also walnut and secured to the iron shaft with a brass coupling. 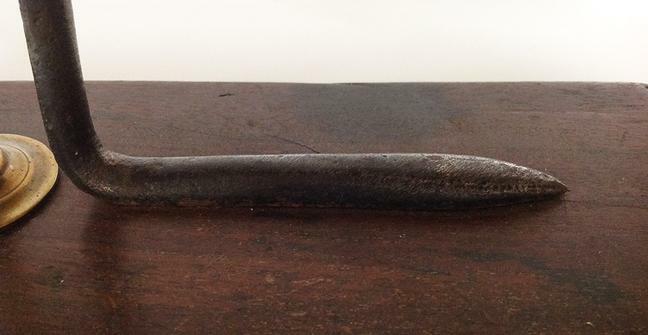 Both the forged iron and the turned brass shaft have decorative incising. Obviously an expensive item in its day. Measuring 16 3/4" from the front of the base to the tip of the handle, with a base width of 5" and an overall height of 6 1/2". A terrific early pair of sugar nippers. Ca 1820-1840.